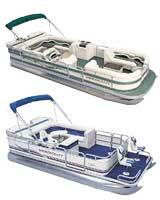 Whether you are shopping for an aluminum fishing boat, a sleek fiberglass runabout or a spacious pontoon boat, you may rest assured that from the time of the initial concept to the day that you receive your boat great care is taken to insure total quality. The sale, however, is only the beginning of a relationship that will last for many years. We feel that you deserve the best that we have to offer, not only in the quality and reliability of our boats, but in the service that we provide after the sale. 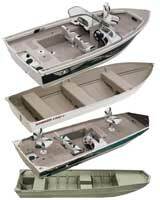 We are committed to ensuring that your time is spent on the water and not in the shop. Yamaha is the only outboard manufacturer in history to receive 10 consecutive Marine Customer Satisfaction Index (CSI) Awards. Most marine websites ask you to "Call For Price" on their in stock items, we don't. We offer very reasonable pricing and we list our prices so you can see for yourself. In addition to our everyday low prices we are offering extra incentives to save you money. Read up on model comparisons and see why you should buy Smokercraft. Yamaha Game Changer.